This is an introductory course about the credit card sized computer Raspberry Pi. This course is ideal for those who are interested in exploring the possibilities of Raspberry Pi as a computer. The course does not assume any prior knowledge on computers or programming. However, a knowledge of Linux operating system and Python programming language would greatly help you in getting up to speed. If you do not know Linux or Python, no need to worry. The course has sections that cover the basics of Linux and Python to get you started. Small as it is, The Raspberry Pi packs quite a punch. The course will teach you to hook up the Pi with a key board and monitor so that you can use it as a low cost computer. You will also learn how to interact with the hardware of the Pi, something that you normally do not do with your home computer or laptop. You will learn from 2 complete projects. 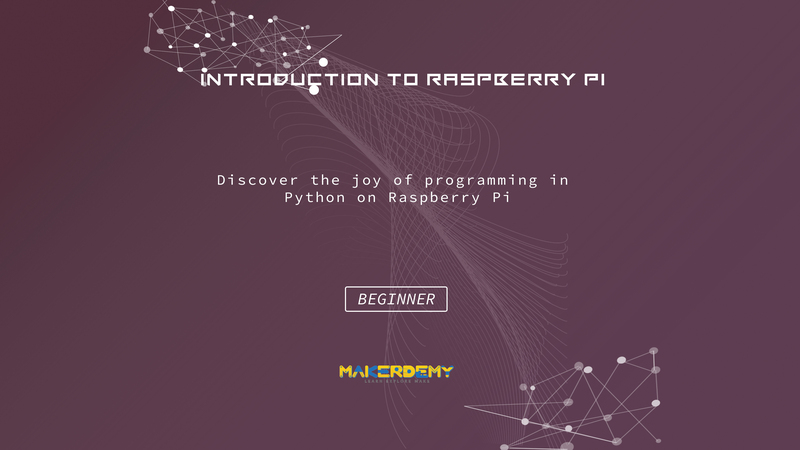 The first one teaches you how to write a software program to make the most of your Raspberry Pi, using the Python language. The second project involves learning how to control the Raspberry Pi hardware using a computer program written in Python. You will hook the Pi up with a Christmas tree light and will use your program to create various lighting patterns. Sounds exciting? The course provides complete code for both the above mentioned projects. The entire course can be completed over a period of 2 hours, including the hardware assembly for the Christmas tree light project. By the end of this course, you will learn how to boot and wire up a Raspberry Pi. You will also have learnt how to write your own python code to make the Raspberry Pi do some really cool things.